The main goal of the game remains the same: Survive! However, Mission cards are added in, bringing in many new elements. At the start of a round, the Team Leader draws two missions. They keep one, while the other goes back on top of the deck (you're not getting out of doing the mission that easily). The Missions put new rules on the encounter players are about to head out on. This might be a good thing. This might be a bad thing. Sometimes, players must complete certain goals in order to discard the Mission card. As such, it makes the game a bit tougher, as it'll dictate more which cards you'll want to play from your hand. There's three different difficulties of Missions, so you can tailor your game to how challenging you want it to be. There's also special rules for two-player and even single-player versions of the game. 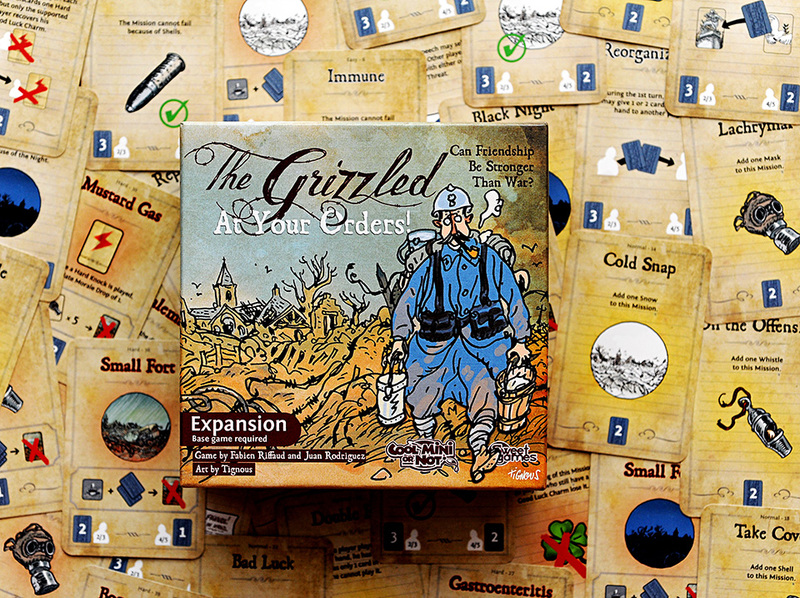 So even if your whole gaming group doesn't show up, you can still get some great WWI action in.